If you’re looking to travel between London in the UK and some of Europe’s other capital cities (such as Paris, Amsterdam, and Brussels) and you would rather not take to the skies, the Eurostar is a fast, luxurious rail option that can get you there practically as quickly if you take airport wait times into consideration. Eurostar customers can now save their tickets to the Google Pay app. This is part of the company’s bid to reduce paper waste by encouraging the use of mobile tickets instead, so there’s even more reason to use the new functionality. According to Eurostar, you’ll need to be using Google Pay on an Android device with Lollipop or higher. 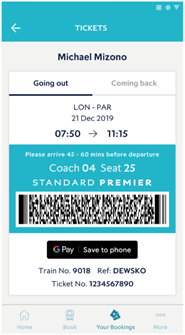 Once you’ve bought your ticket in the Eurostar app, look for the black “Save to phone” button with the Google logo. 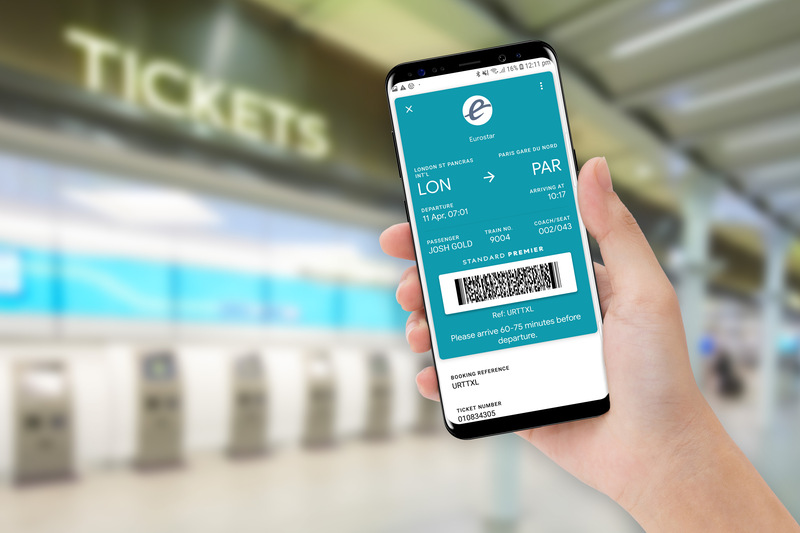 Enabling mobile tickets to be saved via Google Pay is the latest in a range of digital improvements from Eurostar. Earlier this year, Eurostar also made updates to the Eurostar app to help provide users with a new ‘arrival’ state. The update added features including public transport maps for the destination city and the ability to book tickets to attractions. Travellers can now find the lowest available fare using Eurostar’s Fare Finder available on Google Home and Google Assistant.